If you have joined Pi Gamma Mu recently, we are very happy to welcome you to our organization. Your name has been added to our listserv, and you will remain on this list as long as you wish to receive our newsletters. There is information at the bottom of the page about how to make changes to your subscription when necessary. If you are receiving this newsletter through your college E-mail address and have graduated, be sure to give us a new E-mail address before your college address is deleted from the college's system. Chapter annual-report forms will be mailed to chapter sponsors very soon. It is very important that all sponsors fill out and return an annual-report form to headquarters by September 1. We will put the form on our Web site soon for those of you who would like to send it back that way. We appreciate each sponsor taking the few minutes to complete and return this report. EVALUATING PI GAMMA MU'S "RESPONSIVENESS"
Here at North Georgia College & State University, as I prepare my students in the Master of Public Administration (M.P.A.) Program for careers in public service, I have many occasions to discuss with them a concept that is known as "responsiveness." In the corporate sector, the analogous concept is "customer-oriented marketing." 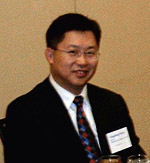 Yongsheng Wang, newly elected member of the Pi Gamma Mu international Board of Trustees and chancellor of the Northeast Region, graduated from Texas Tech University with Ph.D. and M.A. degrees in economics and received a B. Mgmt. in accounting from Qingdao University, China. Currently, he is an assistant professor of economics and director of financial economics at Washington and Jefferson College. One of the ideals of Pi Gamma Mu is Social Service, and, as the ritual for initiation states, "The pursuit of our ideals requires giving freely, fully, and joyously of our time, talent, and energy. The fruit of our scholarship, science, and idealism is reaped through service to others for the benefit of all humanity, and this, in turn, requires the cooperation, dedication, passion and participation of all people and of all the social sciences." This newsletter has news from Florida State University, Southern University, North Georgia College & State University, Emory and Henry College, Central Methodist University, Widener University, and the University of Mary Hardin-Baylor. 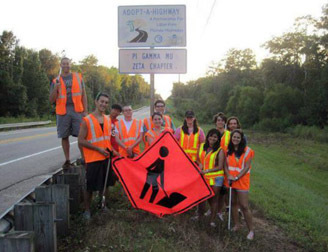 The Florida Zeta chapter at Florida State University has been recognized as the most active student organization on its campus. There are still positions available for the Rutherford Institute's Summer Internship Program for law students, which runs from June 4 - to July 27. This will be the 29th year for the internship program (also the Rutherford Institute’s 30th anniversary), and it is looking forward to welcoming some outstanding students—as well as outstanding speakers—to the program. Pi Gamma Mu has a special category of membership: the International Affiliate Membership. Please think about the international students and visiting faculty on your campus who might fit into this category, and consider the benefits of choosing them for this special membership. Dr. Stephen Medvec, chapter sponsor of the Pennsylvania Alpha Nu chapter at Holy Family University, will hold the rank of full professor of political science when the 2012‑2013 school year begins. Sister Francesca Onley, university president, announced Dr. Medvec’s promotion in March. Dr. John H. "Jack" Roper, chapter sponsor for the Virginia Delta chapter at Emory & Henry College, received the Excellence in Teaching Award for the second year. This award was voted on by the graduating seniors. The Awards Committee of the Pi Gamma Mu Board of Trustees announced the Roll of Distinction and Roll of Merit at the board’s annual meeting in October 2011. The Rolls are the result of the decision by the Awards Committee on the basis of the annual reports filed by responsible chapter officers. 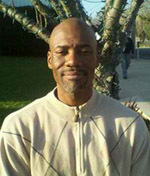 We are four months into the year 2012, and it is time to weigh in on the activities of President Barack Obama. As we inch closer to the presidential campaign and election, it is going to be rather interesting to watch the moves of the president as he seeks another four years in the White House. There is a host of new issues that Mr. Obama has to confront. President Obama’s health-care reform bill has met stark criticism and hangs in the balance. The Supreme Court has held several days of hearings on the president’s health-care reform measure, and many observers are speculating that the Supreme Court may well rule the central provision of health-care reform unconstitutional; that is the requirement mandating that all Americans purchase medical insurance or pay a penalty. Pi Gamma Mu is a 501(c)(3) nonprofit corporation and able to accept tax-deductible donations. If you would like to make a donation to our organization in honor / memory of a professor, sponsor, loved one or friend, or to support our scholarship program, you are encouraged to do so. Pi Gamma Mu gives 10 scholarships to students going into a graduate program in social science each year. You can mail your donation to Pi Gamma Mu, 1001 Millington, Suite B, Winfield, KS 67156. Pi Gamma Mu is committed to providing a wide range of services that will stimulate social-science research, recognize the achievements of honor students in the social sciences, and encourage student members to pursue graduate studies in social-science disciplines. We do a lot, and we’d like to do more! Please, would you help us? Donations of $25 or more will be acknowledged on Pi Gamma Mu’s Web site and in the Pi Gamma Mu Newsletter. Headquarters is selling royal-blue Pi Gamma Mu sweatshirts in sizes M, L, XL, and XXL for $35. We have navy-blue polo shirts, embroidered with the Pi Gamma Mu key design in white, which are always a popular item. We have them in sizes M, L, XL, and XXL for $35. You can order your honor cords any time during the year. They can be worn at graduation, they can be draped around your Pi Gamma Mu membership certificate on the wall, or you can be creative--but be sure to order yours. There is an order form on the merchandise page at www.pigammamu.org. You can also call headquarters and purchase these items with a credit card, and they will be mailed to you immediately. If you would like more items with the Pi Gamma Mu logo, check out the selection from CafePress Storefront. Church Hill Classics offers beautiful Pi Gamma Mu frames that can turn your membership certificate into a spectacular work of art! Visit the Web page at http://www.pigammamu.org/church-hill-classics-store.html.